This gravel adventure lives up to its name, with an array of birds and other wildlife, tasty wineries and awe-inspiring vistas. When word spread through what constituted the United States in the mid-1850s of a fertile valley paradise out in the wild Oregon Territory, it may have sounded like a land-rush fantasy. But the tales of a temperate climate, a broad and lush valley, and abundant wildlife turned out to be true, and dreamers flocked to develop what would become one of the great agricultural resources of the country and world. 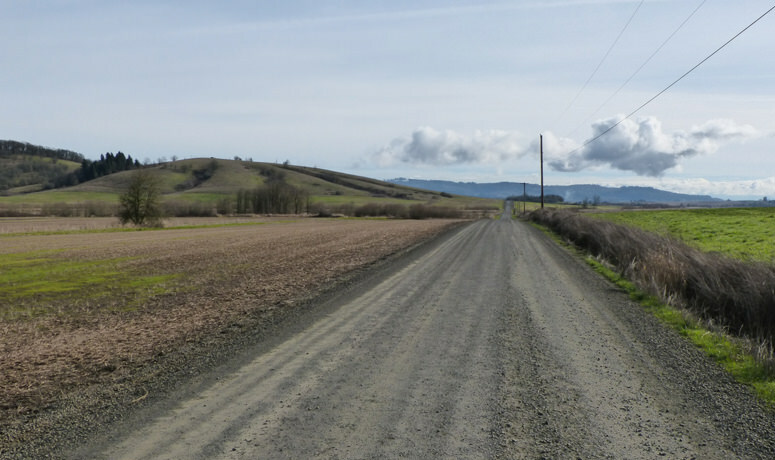 When you ride an isolated gravel road in the Willamette Valley today, it’s not hard to see it much as it was then. The attributes listed in the title of this ride are still there – OK, there weren’t any wineries then, but you still see the expansive views and teeming wildlife that made it a magical place to the pioneers. So come ride – and enjoy the bounties of the valley. 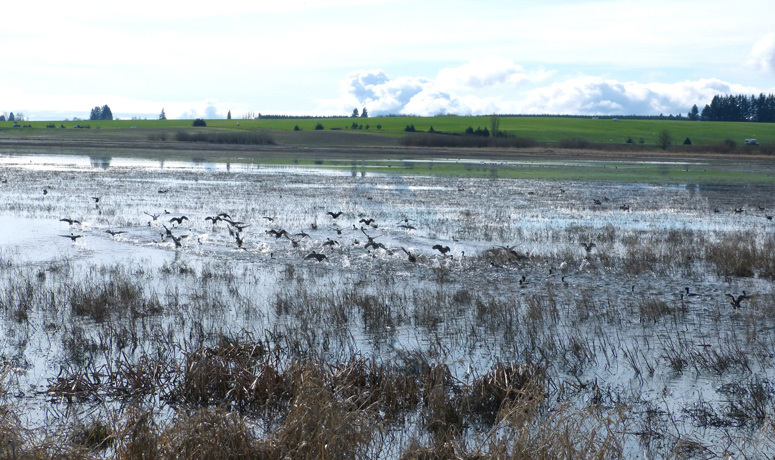 Start your sojourn at the Park and Ride directly across Highway 22 from Baskett Slough National Wildlife Refuge, where you’ll begin and end the day with a pedal through an area rich with avian life – both regional and migratory birds congregate here in vast numbers. 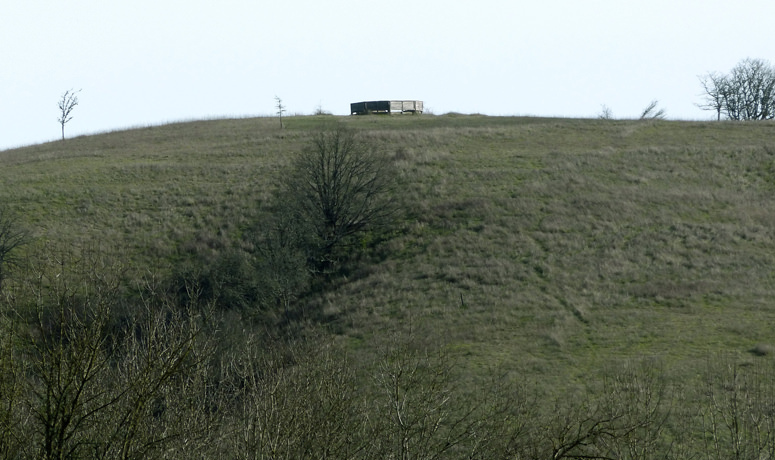 It’s worth a stop, or at least some serious tuning in, to consider the factors that make this such a fantastic place for birds, other wildlife… and humans. Take in the many sounds of nature and the scents carried on the breeze, and take in all the little visual details you can. The thriving winged life extends to the rolling farmlands and stately oaks trees that surround Baskett Slough, which you’ll ride through next. 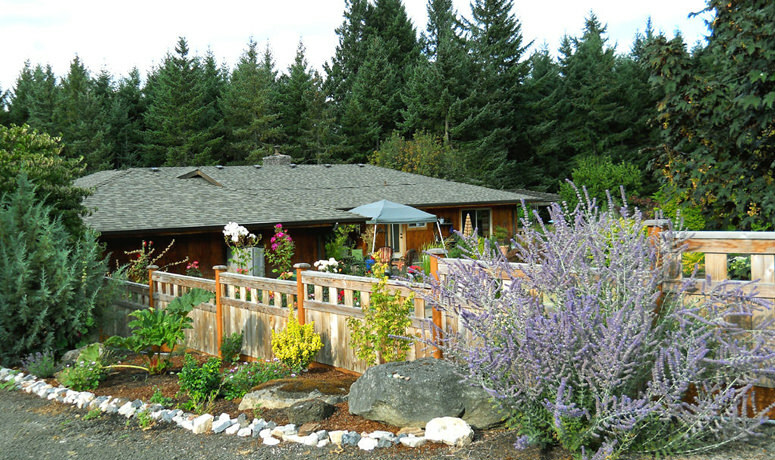 Soon enough you pedal by Van Duzer Winery, one of the dozens that dot the landscape in a region that enjoys a distinct and desirable set of soil conditions (“terroir”), perfect for growing wine grapes. The Van Duzer name is a reference to the local winds, which help contribute to the climate that produces world-class pinot noir. But you’re here to ride; the wine can wait. In the moment, you can drink in the sensation of relaxed meandering on your bike. There are plenty of drops and rises, but each is no more than a couple hundred feet – so you can crush the descents and pound the climbs to get a roller-coaster workout, or lope along at a comfortable pace, keeping your head on a swivel to check out each angle and view. Continuing on, you’ll pass through the hamlet of Perrydale, which feature some well-preserved historic homes that give you a glimpse into the long and prosperous history of farming in the valley. As you continue west and north it gets a bit hillier, as you bounce up and down past copses of native trees, the planned rows of Christmas tree farms, and the historic Pleasant Hill Pioneer Cemetery. A quiet place like this is always a good excuse to stop, wander respectfully through the headstones, and ponder the span of history on this spot. Next up is Sheridan, a peaceful burg on the South Yamhill River with a historic downtown district, including the town’s historic train station, which these days serves as City Hall. After you leave Sheridan, head east on pavement through picturesque, undulating farmland and into Amity, another small valley town enjoying a renaissance as a hub of the wine industry. 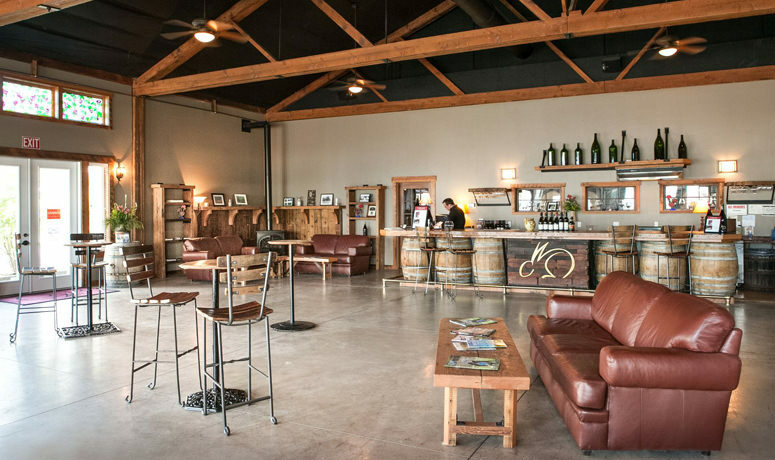 You might consider a stop at one of the multiple wineries and tasting rooms located in town – keeping in mind that you still have some riding to do, so you’ll want to repeat a mantra of “moderation.” Overall, Amity is a good place to stop for lunch or just a break, with shops, a store and a farm stand. Head south and you’re back on gravel; this time the agricultural diversity is illustrated by a large span of berry fields. You’ll see “windmills” in the fields; these are actually fans that are used on cold autumn nights to keep the fruit from freezing. Looking at the hills to the east, you’re seeing the legendary Eola-Amity AVA (American Viticultural Area), home of dozens more top-flight vineyards and wineries. As you ride south and back toward Baskett Slough, you’ll need to get up and over the high point of the day – a whopping 454 feet of elevation – which may feel a little more strenuous than normal, this late in the ride. As you crank out the last miles, indulge in a mental recap of not only all you’ve seen today, but all lands along this route have seen over the last 150-plus years. 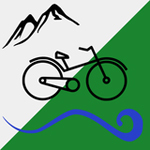 Western Valley Cycing offers cyclists the best routes and cycling hospitality in the Western Willamette Valley. Gravel, road and mountain biking routes are offered at various difficulties and distances in Polk Counry and surrounding areas.